Clownfish can lay thousands of eggs and the daddy clownfish will guard the eggs until they hatch. 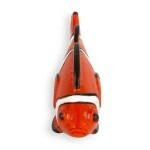 In the wild, clownfish live in coral reefs and thrive in warm, tropical waters. 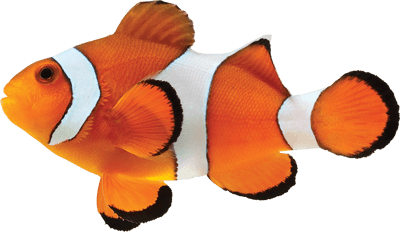 Clownfish can like for 6 to 8 years in the wild and reach lengths up to five inches! Origin: Pacific and Indian Oceans as well as the Red Sea and the Great Barrier Reef in Australia. Print the Clownfish Character Card! Whenever the clown fish senses danger, it hides inside the sea anemone’s tentacles for protection. Clownfish perform an elaborate dance with the poisonous anemone before taking up residence, gently touching its tentacles with different parts of their bodies until they are acclimated to their host.